For others named Rex, see Rex. 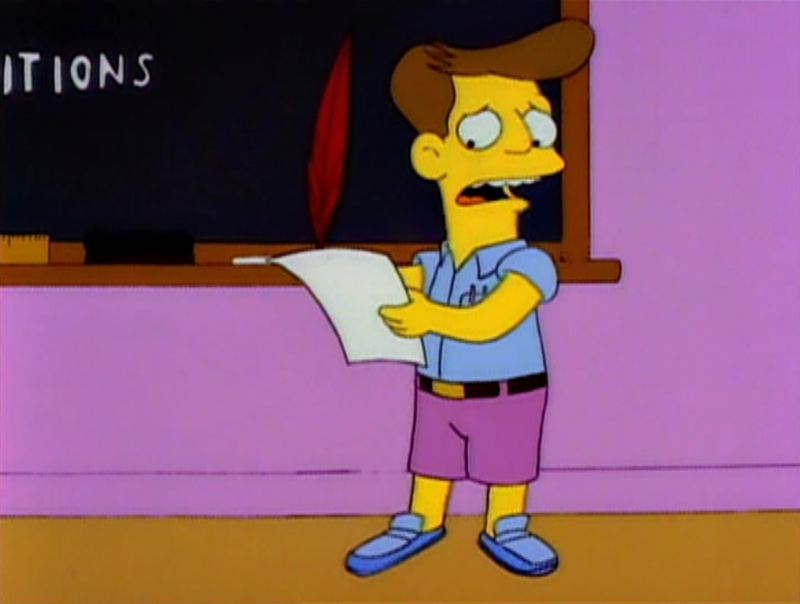 Rex is a second-grader at Springfield Elementary School. He believes that he is the best actor in the school. Before President's Day he sought the role of George Washington in a school play, but the role ended up going to Ralph Wiggum. When he did not get the part he called Ms. Hoover a cow and said that somebody had "got to her". Ms. Hoover denied this claim, but then moved towards the window and repeatedly opened and closed the blinds. Chief Wiggum, who was sitting outside said that that was "the signal" and then told Eddie and Lou to take the boot off Ms. Hoover's car, apparently having forced her to give the part to Ralph. Modified on March 31, 2018, at 18:29.